When you're deciding whether to join a homeschool co-op you want to look at all the advantages and disadvantages of joining. - Helps Mom by teaching subjects she can't or doesn't have time to prepare for. - Support from other Moms. - Changes up the homeschool week. Gives everyone something to look forward to and work towards. - Meet other homeschool students and parents. - Sometimes not everyone pulls their weight. Some parents just drop their kids off and others are there but don't prepare well for what they are supposed to teach. - Sometimes there are discipline and character issues in other children that affect your children in a negative way. - Can have influences that you don't want your children exposed to. Maybe other children are allowed to read or do things that you don't want your child doing or reading. - Can be too hard or too easy for your child. When you join a homeschool co-op it's best to go into it realizing that it won't last forever. Usually you have to plan on a year-by-year basis. Circumstances change for families and sometimes co-ops disband for lack of members. If you're thinking about joining a co-op be aware of the rules and group dynamics from the beginning. Does everyone have a job to help the co-op run smoothly. Those types of organizations seem to work the best. Some co-ops might be designed to be a paid service where the parent does not have to come and a teacher is paid to teach the material. That's a great way to organize a group too. Just make sure that you know what is expected of you when you start. It's very important, when you are in a coop or thinking about joining one, that you keep the lines of communication open. It's important to have good boundaries. We want to be sure to extend grace to people but we want to make sure they are not taking advantage of us either and not carrying their own load. It's one thing for a mom to ask someone to watch her kids at coop so that she can get something done at home, but when it happens too often, then communication needs to happen so that the mom knows that she needs to carry her own load and not take advantage of other's kind actions. 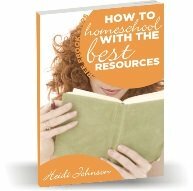 Here is a great resource that lists the homeschool support groups by state. Here is a great article about what makes a great home school co op. There are some great suggestions listed in the article that I wanted to share with you.